Today’s weekend photo comes from the sunny state of California. 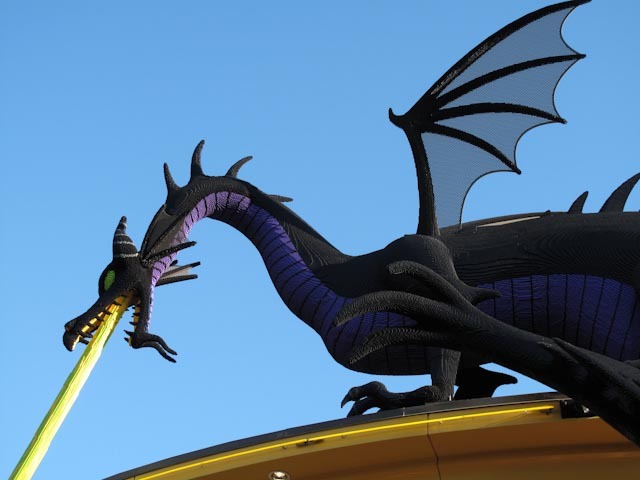 This dragon is guarding the entrance to Lego Land in Anaheim, and is made entirely of Legos. I can’t even imagine how much work it takes to build something like this, but I’m really glad someone else could. If you haven’t been to a Lego store, you should. It’s like stepping back into childhood. They let you play with the toys, and your imagination is sure to soar as you join little kids at the various tables. If you can’t get to the store, do yourself a favor and pick up some Legos and try it at home. Your inner child will thank you. Now, how do I get this dragon over my own front door?